Whether your political stance is left or right, you should always try to be fashion forward — and we're not just talking about the ladies! With everyone buzzing about Mitt Romney’s vice presidential selection of Paul Ryan, election season continues to amp up. Instead of showcasing your political viewpoint via a lawn sign (or a friendly debate among friends), Chicago-based company The Tie Bar is challenging men to wear their political choice around their necks — for free! The Tie Bar makes shopping for ties EASY. Its nifty website has a drop-down menu where you choose the color suit you have and voilà! 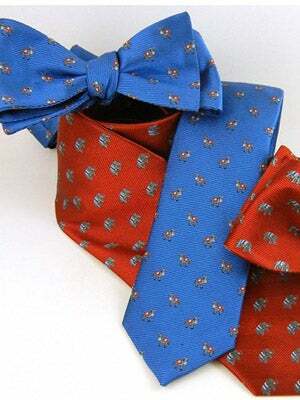 It pulls a selection of matching ties that take the guess work out of looking dapper. There's also a nice array of cuff links and pocket squares for those guys looking to kick it back old school. Simply purchase $75 or more of The Tie Bar merchandise (early Christmas shopping anyone?) and you'll receive a free political-party-themed tie (skinny or regular) or bow tie by entering “Elephants” or “Donkeys” into the Gift Message at checkout — just don't forget to type that in or the deal is void!The offer is valid only until August 26, so don't miss out!